Become a Primary or Early Years teacher with our comprehensive teacher-training degree. Our expert tutors will support you to become a confident and creative teacher with the skills and experience demanded by schools. This is one of the most highly regarded courses in the country, with an enviable employment record. Our close relationship with partnership schools means you gain a wide experience of teaching in many different kinds of educational settings, from large inner-city academies to small, rural schools. You will develop the depth and breadth of your subject knowledge, so you can begin your career as a confident and innovative teacher. We don’t take a three year course and stretch it out over four years. 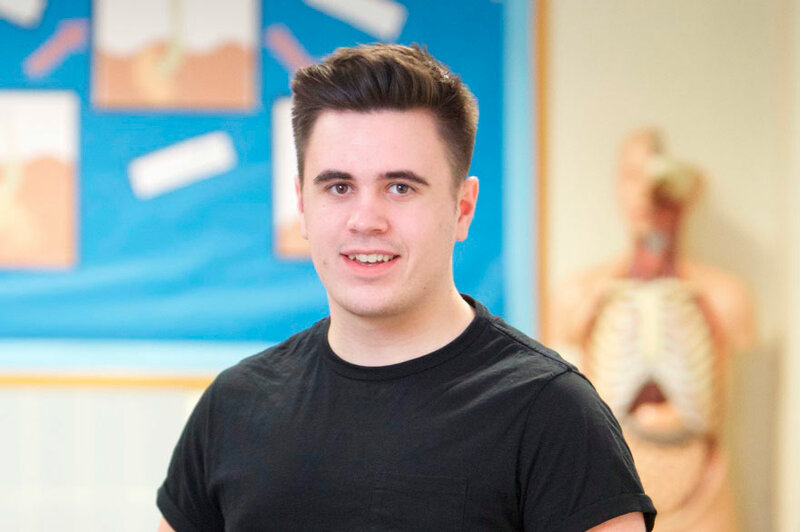 We build in enrichment opportunities and a greater depth of study which would not be possible if we just had a three year course. We can provide you with more time in school – at least 160 days, but this is likely to be higher depending on your specific choices. Each placement ranges from five to eight weeks and helps you to become an excellent and highly reflective primary teacher. extra school-based projects including Core Week and SEND Week. Our students appreciate the extra time to develop their skills before beginning their career in primary education. With a four year course, we can include an in depth Leading Primary / Early Years Practice module which can be studied at Masters level. Successful completion at Masters level will result in 60 credits towards a full Masters degree. With a growing emphasis on higher level qualifications for teachers, you will be ideally placed for your future career. On this degree there is equal attention given to your professional development and teaching skills. In Year One and Two you will focus on your professional development and discover more about how children learn in educational contexts. The broad base of these two years allows you to learn to teach all areas of the curriculum and to work in schools with children across the 3 – 11 age range. In Years Three and Four you opt to focus on teaching either the three to seven age range or the five to eleven age range, although the award of Qualified Teacher Status (QTS) qualifies you to teach across the whole three to eleven age range. If you opt for the 3 – 7 age strand, you will continue to study English, Mathematics and Science tailored to the specific needs of this age phase. Your studies will concentrate on the breadth and interrelated nature of the curriculum and will support you in teaching in early years settings or Key Stage 1 classrooms. If you opt for the 5 – 11 strand you will continue to study the core subjects of English, Mathematics and Science. You will also opt to develop strengths in chosen areas of the wider curriculum. By the end of the course it is expected that you will be able to critically reflect on your own learning and thinking processes in order to further develop your own subject knowledge in a range of curriculum areas, through extending and generalising ideas with a focus on applying them to classroom situations. There are two 60 credit modules in Years One, Two and Three: Professional and Educational Development, and Curriculum and Pedagogical Studies. In Year Three the Curriculum and Pedagogical Studies module is offered with either a 3 – 7 years, or 5 – 11 years focus. In your final year you will undertake Professional and Educational Development Four, and a module entitled Leading Early Years Practice (3 – 7 years) or Leading Primary Practice (5 – 11 years). As part of this module you will engage in a collaborative Leadership and Management project and an independent study. There is the option to study this module at Masters-level and receive 60 Masters-level credits. During this module, which includes your first period of professional practice (PP), you will develop an understanding of how learners learn and how learning progresses. You will be introduced to statutory and non-statutory curricula and other relevant policies and frameworks within which teachers work and supported into considering how to apply these to the classroom context. Barriers to children’s learning and achievement will be considered and inclusive strategies to overcome these discussed. As part of this module you will spend time in a school completing professional practice where you will be supported in learning to plan and assess children’s learning. You will be introduced to your responsibilities regarding safeguarding and children’s well-being. You will be supported in understanding the nature of professionalism and how to make a positive impact in school in terms of your aspirations for children and relationships with both children and adults. An important part of the module is concerned with developing skills of reflection, relating your own learning experiences to those of the children you are training to teach. The aim of this module is to introduce you to the statutory and non-statutory frameworks in the context of the primary curriculum subjects and areas of learning and development. We will consider children’s possible difficulties in making progress in both the core and wider curriculum and how barriers to learning can be overcome. You will be introduced to the practices and associated pedagogies specific to each subject. The module will support your understanding of progression in each subject and enable you to make relevant links between subjects / areas of learning. You will be supported in developing your subject knowledge for teaching in each subject and will be supported in recognising areas for development. This is an extra experience for all first year students, where you learn to apply your growing subject knowledge for teaching to the context of outdoor learning. This module includes your second period of professional practice (PP). It is designed to support you in recognising the need to personalise learning and to take account of the needs of individuals and groups of learners. As a result, you will increasingly be able to meet the needs of learners through the use of appropriate planning, teaching and assessment strategies. The module considers some of the barriers children face in their learning and supports your developing awareness of a range of issues and theories around SEND (Special Educational Needs and Disability) and inclusive education. We also aim to support you in the further development of your emerging educational philosophy. Emphasis is given to supporting your ability to engage in reflective self-assessment. This module will support you in developing your understanding of how to scaffold learning as appropriate to individual curriculum areas. It will also support you in making provision for children with a diverse range of needs across all areas of the curriculum. It will focus on formative assessment practices which will enable you to plan and teach lessons across curriculum subjects which feature creative and active approaches underpinned by a sound and explicit knowledge of the needs of individuals and groups of pupils and the requirements of the curriculum. This module will provide you with the opportunity to interpret the statutory and non-statutory frameworks. It will consider how specific practices impact on children’s learning and have knowledge of a range of practices (including use of ICT) and strategies relevant to specific subjects. This module will help develop your confidence in your own subject knowledge for teaching across both core and wider curriculum subjects and support you in recognising progression in children’s learning within curriculum subjects. 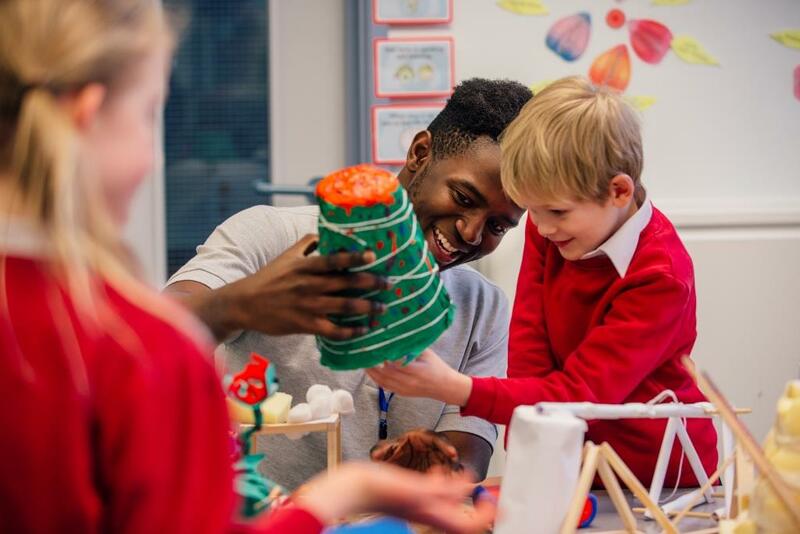 This fortnight-long experience allows you to develop your understanding and knowledge relating to SEND provision across the primary age range, and make a positive impact within a school community. This will include additional school experience in a range of settings. This module includes your third period of professional practice where you will be supported in developing effective and inclusive classroom management skills. You will also be supported in identifying ‘best practice research’ and learn how to take a creative and inclusive approach towards innovation in your planning and teaching. There is an emphasis on developing your ability to reflect on your own practice especially in terms of the impact your approaches to teaching and learning have on the learning, development and progress of all children including children with diverse needs. This module also aims to engage you with the idea of the teacher as ‘researcher’ and to develop your understanding of research methods. We consider how such an approach develops professional autonomy, knowledge and skills. Thus we aim to foster the development of a community of practice and an awareness of the wider teacher-researcher community. The aim of this module is to further extend your subject knowledge for teaching in the core subjects and to support your understanding of the holistic and interconnectedness of learning. This module will support you in developing an awareness of responsive, innovative and creative approaches informed by ‘best practice’ research which support young children’s sense of wellbeing, involvement and engagement. This module aims to provide you with the opportunity to research and critically evaluate new concepts and to explore your own values as a teacher. You will be encouraged to develop the confidence to articulate effectively your emerging ideas and values and be aware of the impact these have on your own practice. The aim of this module is to further extend your subject knowledge for teaching in the core and in your chosen area of the wider curriculum. This module will support you in developing an awareness of three innovative and creative approaches informed by ‘best practice’ research. This module aims to provide you with the opportunity to research and critically evaluate new knowledge, concepts and evidence from a range of sources and to explore your own values as a teacher. You will explore the global dimensions of education and understand how it can underpin creative planning. This module includes your final period of professional practice. It aims to allow you the opportunity to demonstrate that you can be an outstanding and creatively innovative teacher able to empower others and lead change within your educational context. You should aim to develop a detailed critical awareness of best practice / pedagogy in your specialist area and recognise effective approaches to classroom leadership. You should take full responsibility for your professional development during this module and be prepared to be accountable for your own progress. This module also allows you to undertake a research-focused independent study with tutor support. Through your personal study of current national and international developments in an aspect of primary education you will develop your ability to articulate your own critical understanding of theory and practice and thus formulate your own, distinct philosophy of education. You will be expected to offer, in your chosen area, new insights and ideas into how provision in this area might be carried forward in your practice. The module also includes a focus on Special and Inclusive Education. You will develop critical awareness of the current policies, debates, and practices relating to the field of SEND and inclusive education. Teachers qualifying at NTU after a four year course should be empowered to lead, innovate and influence practice from an early stage of their careers. This module seeks to engage you in using and applying your emerging leadership and management skills through collaborative group work. As a result of taking this module you will gain an understanding of your own emerging strengths in the leadership and management of a team. You will also develop your confidence in leading change and articulating your vision for primary education through the development of policy and practice. This module also aims to enable you share your professional learning through disseminating the findings of your research study to your peers for critical review. Teachers qualifying at NTU after a four year course should be empowered to lead, innovate and influence practice from an early stage of their careers. This module seeks to engage you in using and applying your emerging leadership and management skills through collaborative group work. As a result of taking this module you will gain an understanding of your own emerging strengths in the leadership and management of a team. You will also develop your confidence in leading change and articulating your vision for early years education through the development of policy and practice. This module also aims to enable you share your professional learning through disseminating the findings of your research study to your peers for critical review. Please note: modules are designed to reflect current educational initiatives and may be subject to change to meet Government requirements. We are accredited by the UK Government's Department for Education as a provider of initial teacher-training courses. Successful completion of the course leads to Qualified Teacher Status (QTS). This means you can be employed as a Newly Qualified Teacher (NQT) in a school to complete your induction year. 97% of students on the BA (Hons) Primary Education are satisfied with their course (NSS 2018). 97% of students on BA (Hons) Primary Education say that staff are good at explaining things (NSS 2018). Graduates have gained positions in Primary schools in the UK and overseas. Primary Education graduates also find employment in government departments, educational publishing, social service agencies, and research fields. Our close relationships with partnership schools leads to a high proportion of graduates taking up employment locally. With four periods of professional practice and wider enrichment opportunities, such as field work and specialisation, our graduates are confident, critical and creative professionals committed to the development of all through education and highly employable. Our emphasis on subject leadership in the final year of the course ensures that graduates are well placed to lead innovative practice in school. The average starting salary for a teacher is £22,917 and experienced teachers can earn up to £59,000, with Head Teachers reaching salaries over £109,000 (DfE website, 2017/2018). From the outset of your training, you will focus on developing your teaching skills and demonstrating the impact of children's learning. 97% of our BA Primary Education graduates are employed in graduate level jobs within six months of graduating (DLHE 2016/17, first degree, undergraduate). 97% of students on BA (Hons) Primary Education say that the library resources have supported their learning well (NSS 2018). GCSEs – five at grade C / 4 or equivalent including English, Mathematics and Science. We accept the GCSE equivalency taken via equivalencytesting.com. Applicants taking other qualifications that are equivalent to 3 full A levels (AS levels or equivalent not considered) will be referred to check on subject compatibility. We welcome applications from mature students, and those returning to education, who have studied appropriate qualifications. We accept a wide range of qualifications gained at the UCAS tariff points above including the following. If you apply for a teacher training course then you must pass professional skills tests in numeracy and literacy as part of the application process. You must pass these tests before you start the course. 97% of students on BA (Hons) Primary Education say that the course has provided them with opportunities to explore ideas in concepts in depth (NSS 2018). All suitable candidates for this course will be required to sit an interview. During the interview you will be asked to deliver a presentation and complete a test of your English ability. Full details will be provided before you arrive, so you have time to prepare. There is also the opportunity to ask your own questions about the course, tour the campus and talk to current Primary Education students during the day. You are welcome to bring a parent or friend, although they will not be able to join you in the interview. Interview days are normally run between November and March. You will be contacted after we receive your application with a relevant date if you meet our entry requirements. School observation experience can enhance your application. It will also help you to confirm that teaching is the right career choice for you. 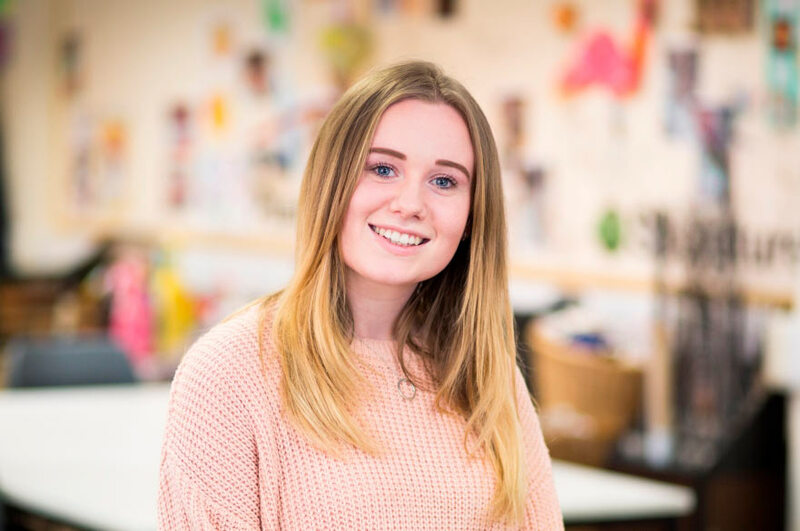 98% of students on BA (Hons) Primary Education say their course has provided them with opportunities to apply what I have learnt (NSS 2018). 98% of students on BA (Hons) Primary Education say they had the right opportunities to work with other students as part of their course (NSS 2018).